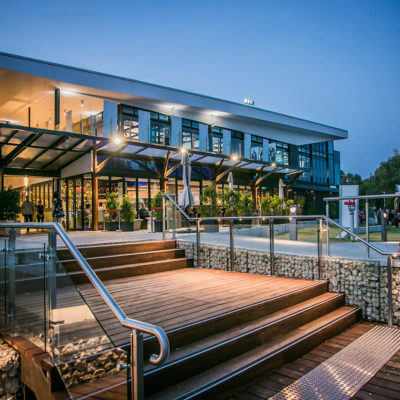 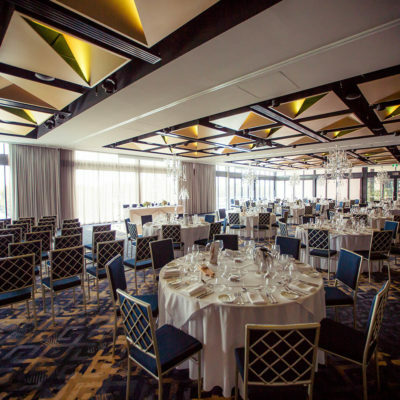 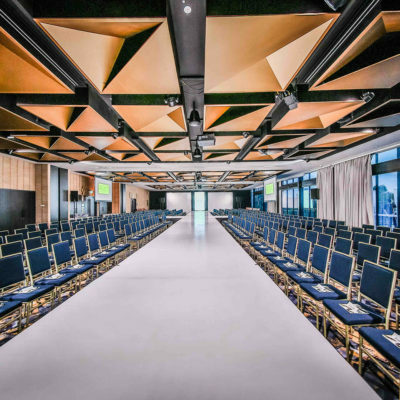 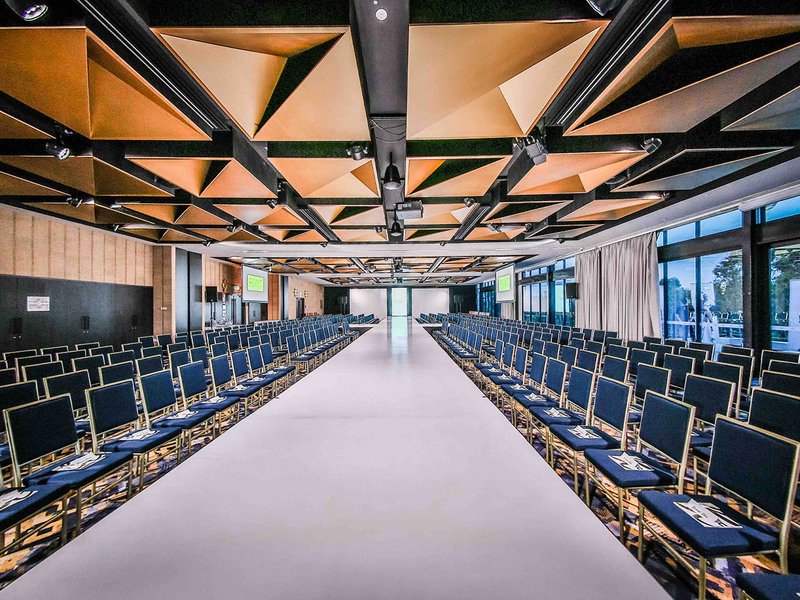 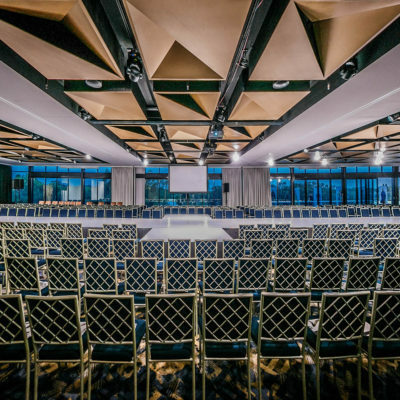 Located on the fringe of Perth city, the Ballroom at Beaumonde On The Point East Perth, is an idyllic venue for all manner of occasions including weddings, corporate events and special celebrations. 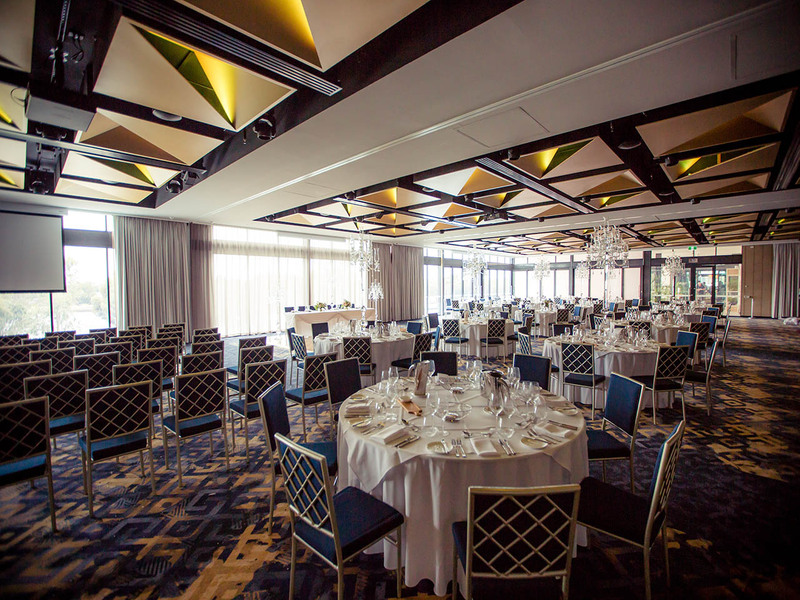 With sweeping river views through floor to ceiling windows and an open-air terrace, the room is bathed in natural light and embraces all the breathtaking natural elements of the beautiful Swan River. 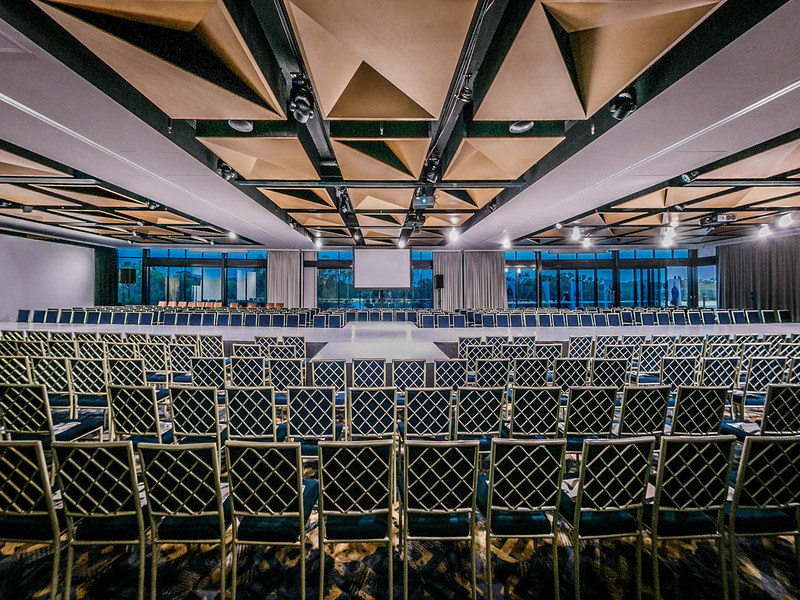 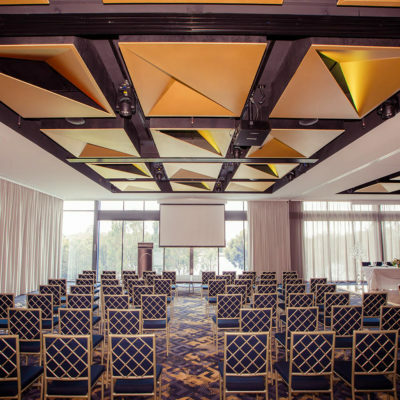 A stylish and contemporary setting furnished with blue and gold tones to mimic the aquatic surrounds, the ballroom is equipped with state of the art audio visual, WiFi, feature lighting and stunning architecture. 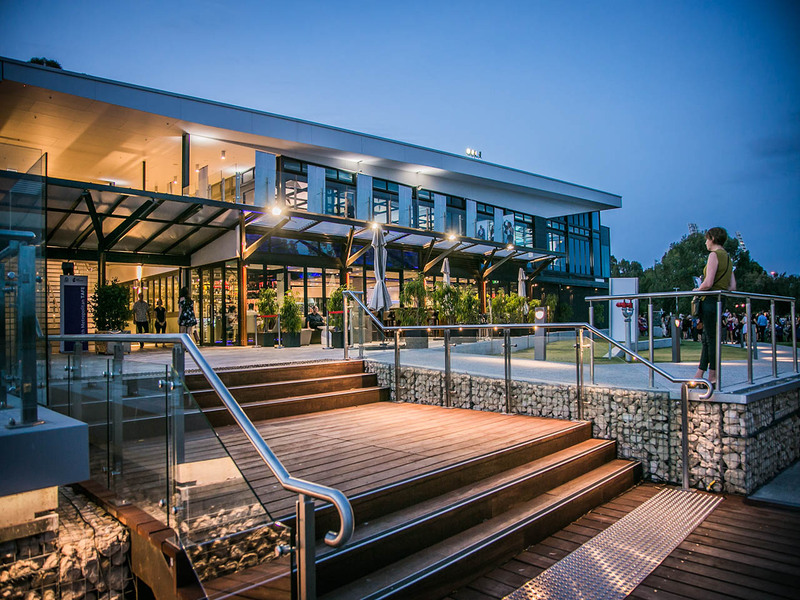 An open-air balcony provides an additional area to mingle and take in the serenity of the waterfront. 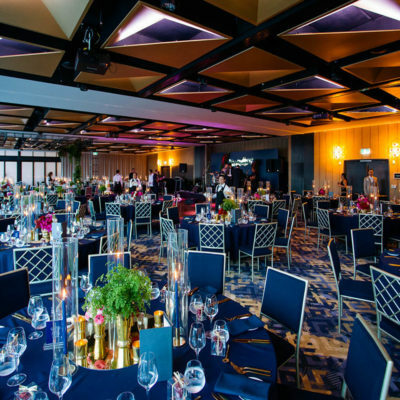 The operable walls allow the ballroom to be seamlessly joined to another ballroom for a larger space. 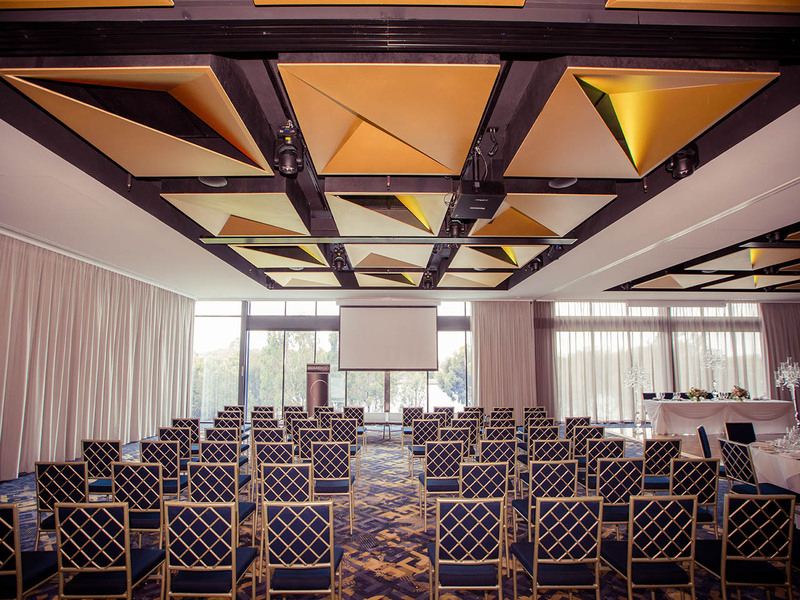 Alternatively, for much larger events, you may wish to opt for the grand ballroom. 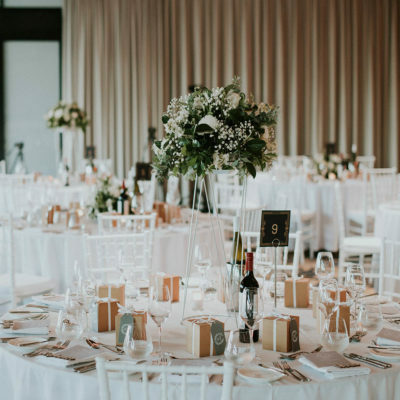 Beaumonde have earned a reputation for delivering seriously delicious and inspiring food to Perth functions and events since 1989. 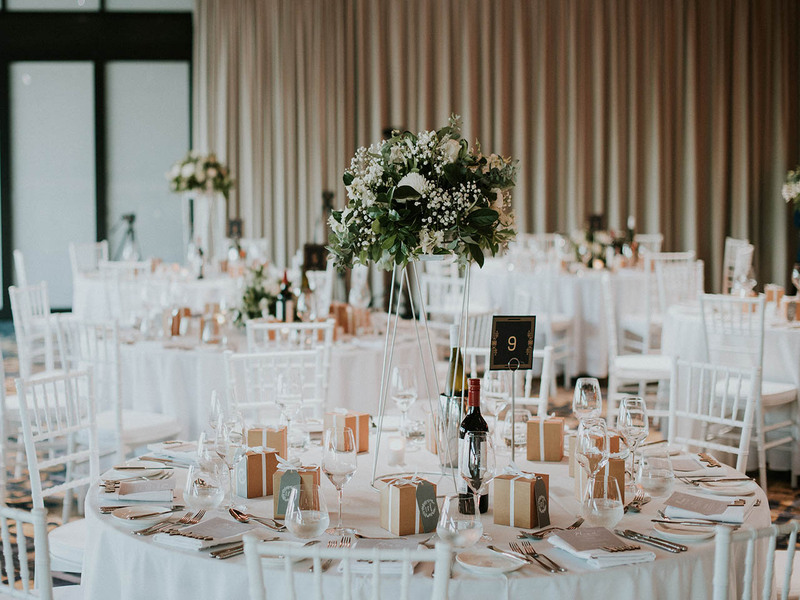 Matched with our personalised service and the majesty of this remarkable venue we can offer you the complete package to create and inspire a truly spectacular event. 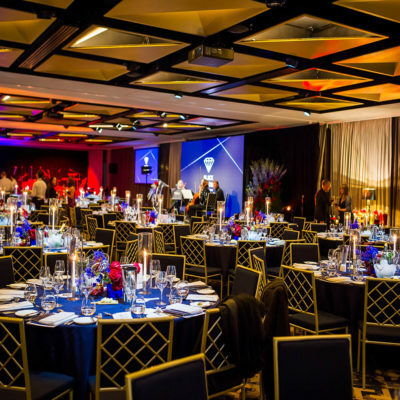 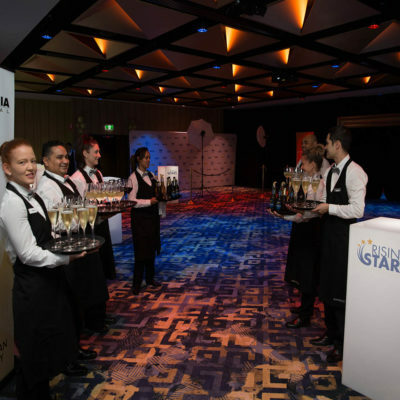 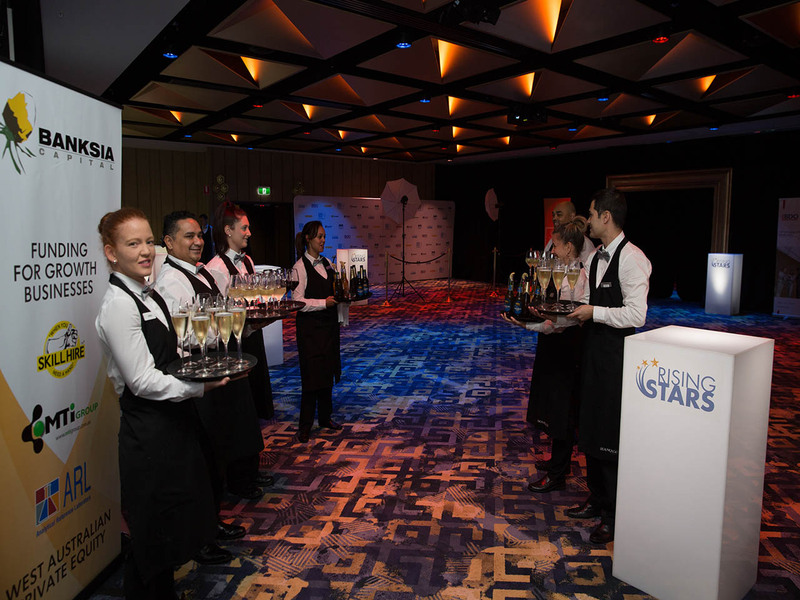 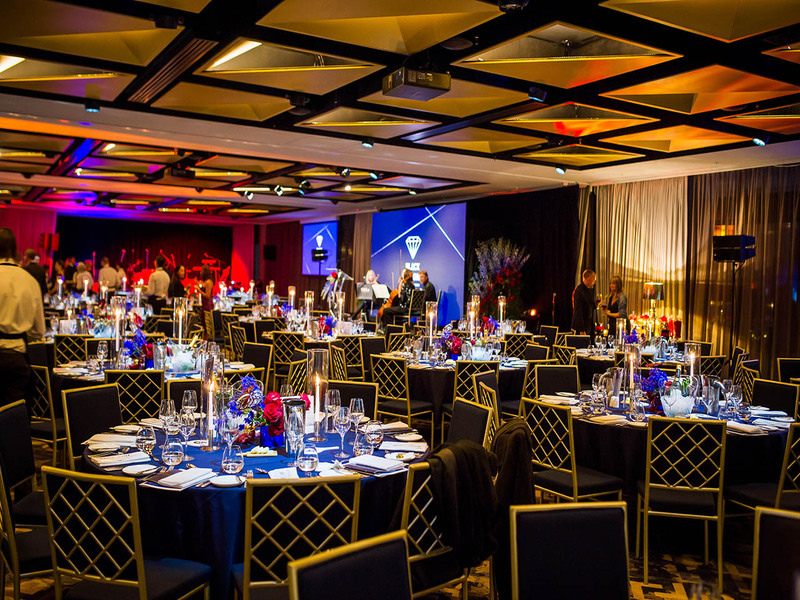 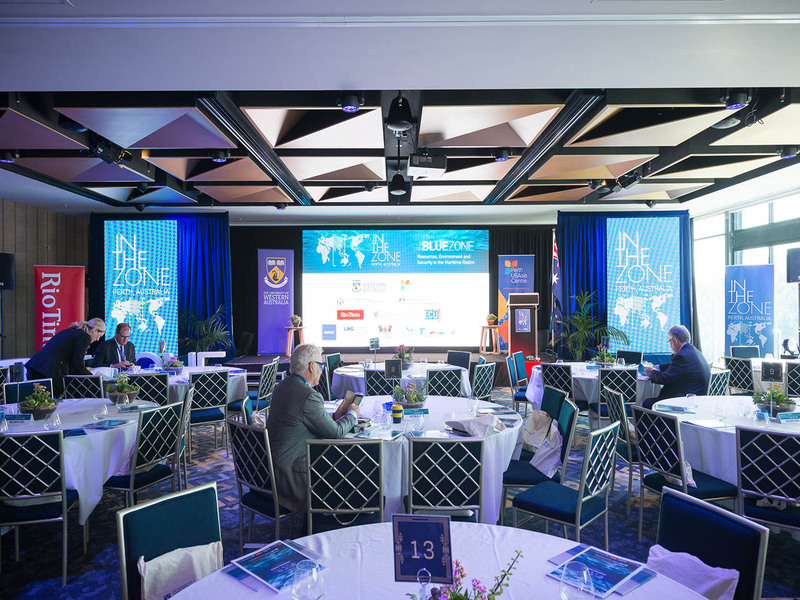 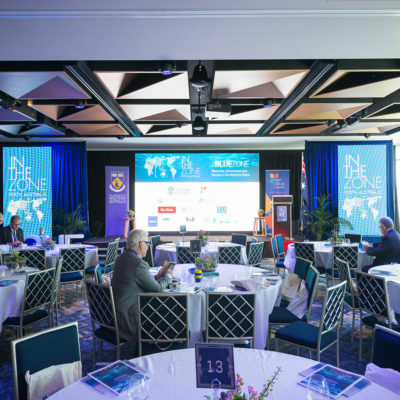 Our onsite audiovisual partners – Perth Audio Visual Complete Event Solutions will deliver your corporate and large-scale audiovisual requirements. 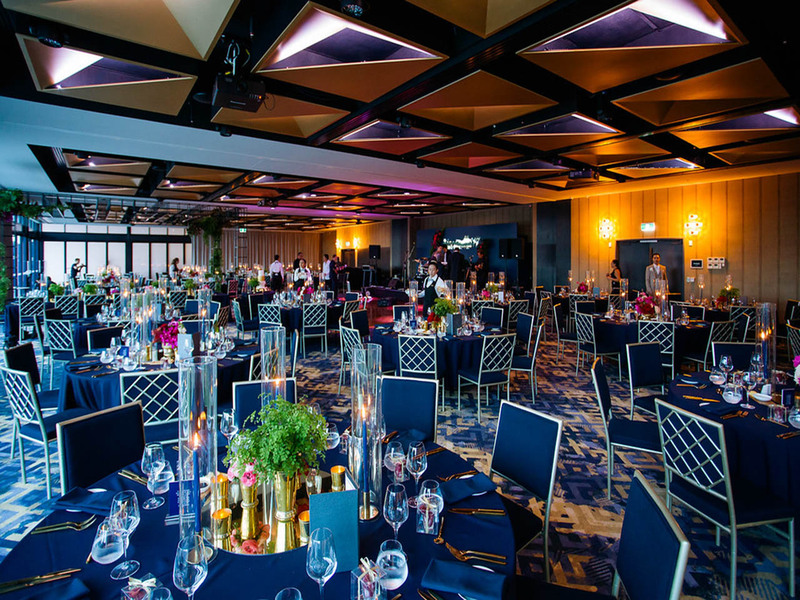 Providing slick and cutting-edge productions, they will take your theming brief and making it a reality.